Jehovah Jireh Children’s home was started by the Late Anglican Archbishop the Most Rev. Dr. Manasses Kuria in the year 1994. The home was taken over by the Diocese of Nairobi in 2009 and is currently managed by a committee appointed by the Bishop of Nairobi Diocese, the Rt. Rev. Joel Waweru, in June 2011. The Purpose of the home is to provide a place where street children and others who are disadvantaged would call home. The target children are the physically and psychologically abused, neglected ones, those with emotional problems and those who suffer domestic violence. There are 60 children at the home as of now aged between four and eighteen years of age. Thirty-six are girls and twenty-four are boys. 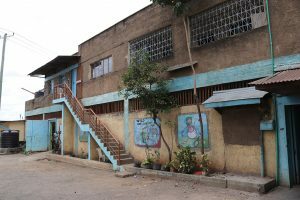 Since its inception, the center has been enrolling orphaned children who are affected and/or infected by HIV/AIDS, and who have lost parents through other causes. Internally displaced children have also found their way into the home. The home has continually offered the residential support to the children catering for all their basic needs. The home has supported the educational needs for all the children at primary and secondary levels. The center depends on the Diocese of Nairobi and well wishers to finance its operations. Diocesan support comes mainly through donations from the parishes, departments and individual Christians. The home has been facing consistent financial challenges since the donations do not meet all the financial requirements of the home such as repairs and maintenance and adequate salaries for the staff.